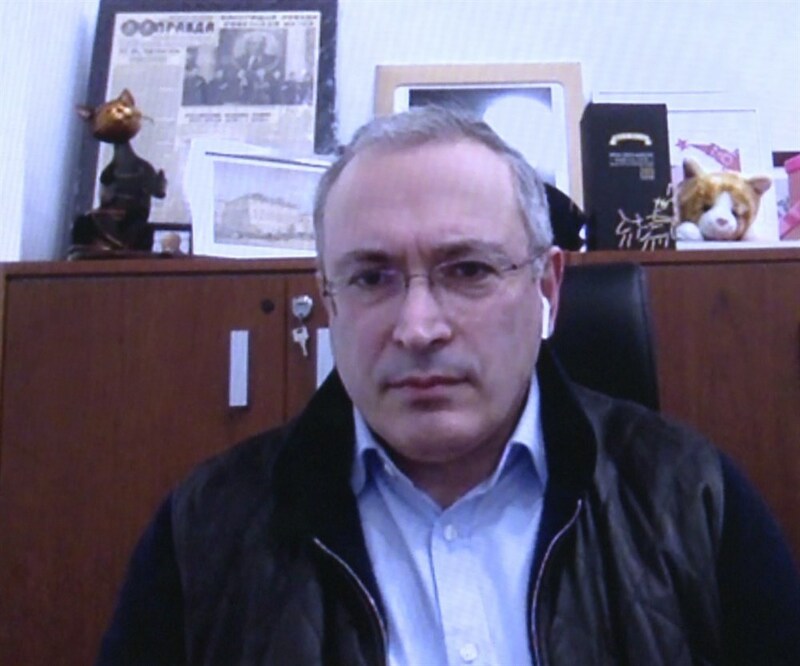 Mikhail Khodorkovsky, founder of Open Russia, has given an extensive interview to Russian news station TV-2. Among the subjects discussed are Vladimir Putin, Alexey Navalny, Ksenia Sobchak, the Ulyukaev case and post-election perspectives on Russia (spoiler – they’re not pretty). — Has the Federal Service for Supervision of Communications, Information Technology and Mass Media/Roskomnadzor blocked the ‘Open Russia’ website and is demanding that Twitter and Youtube delete your accounts? How do you think that international social media networks will react? Will Roskomnadzor really block Twitter or Facebook in Russia? — I believe that this would be complete idiocy. This is very unlikely to happen, especially on the eve of the elections. Right now, the youth in society are already prepared for an array of actions, and if they are deprived of, say, Twitter, Facebook or Youtube, then I am sure that the scandal will be greatly multiplied. So no, I don’t think that Roskomnadzor will act in this way. I am, however, not the greatest optimist when it comes to the sustainability of Western companies. So we can but wait and see. — You mean to say that you are not 100% convinced? — For now, one day has passed since the decision. Twitter is holding its tongue and Youtube is also silent on the issue. Twitter sent us a letter from Roskomnadzor and suggested directly contacting its leadership. I think that this has already happened today. — You have presumably assumed that the site can be blocked. Is there a plan B? Will you support and open new media projects? — Well, at the moment, I have several structures, independent from each other, existing on social networks. They are working fine and have not been blocked. On the other hand, my personal website, khodorkovsky.ru, cannot qualify as the site of an undesirable organisation. Whoever I may be, I am certainly not an organisation! Nevertheless, it was easily blocked. They simultaneously denied access to the website of Open University, which is engaged in completely apolitical activities and clearly has no relation to any undesirable organisation. These people are panicking. I really don’t know why. It’s difficult to explain. — I get the impression that a new phase of pressure on Open Russia has been initiated. Why now? — It does not even resemble pressure. We held a conference, police arrived and took everyone’s names. This is not pressure, as they could have kicked the attendees out. In generally, people are ready for this, although it nonetheless plays on the nerves. These actions resemble pure panic. It’s hard for me to say why this is happening now. I can make an educated guess because, in my opinion, this all began after we qualified a part of Putin’s circle as a criminal group in a fairly legally sound way. Why “part”? Because we are going to systematically prove this step-by-step in the legal space on the basis of journalistic investigations. The recent behaviour of the Russian state started after we announced this, and after we issued a statement to primary Deputy Prosecutor General Bouksman concerning a crime revealed by a ‘Novaya Gazeta’ investigation into Kovalchuk. Therefore, I get the impression that, having begun to translate journalistic investigations from the most varied publications into a practical legal channel, we have stepped on somebody’s toes. — It’s difficult to answer this question, as it should be impossible from a legal viewpoint. When the police and representatives of the Investigative Committee talked about an organisation called “Open Russia”, recognised as undesirable and registered in the UK, we asked them to show us where such an organisation exists on the UK registry. To put it simply, when this episode began, we renamed the UK organisation so that it would not get confused with the Russian movement. So it is currently impossible to say that there is a UK-based “Open Russia”, which is getting mistaken for the Russian organisation. It is yet more impossible, as we have already noted, to declare the Russian organisation ‘undesirable’. Even more so me. But this is in a legal sense. Such talk is meaningless outside legal bounds. Because while a person comes home from work, will a gang of thugs hit them on the head or leave them be? You’re unlucky if hit and lucky if left alone. What else can be said? — Moving swiftly on, what did you think about the president’s press conference? Did anything surprise you? — I didn’t have time to watch the press conference. I will review excerpts as I can’t bear to watch the whole thing. He was bored in the last one and lazy in this. It surprised me that it took me such little time to realise this. I gathered that he did not want to talk at all, and journalists were tentative to ask controversial questions. Naturally, I read Ksenia Sobchak’s question and the president’s answer. It’s simply laughable that he pretends not to know Navalny’s name. He called me a person of interest for ten years, and suddenly began to use my name and patronymic. I hope that the same will occur with Alexey. — Why do you think that this is happening? Is this some sort of ban for everyone? As in, even Peskov cannot call Navalny by name? Is there any explanation? — Many consider Ksenia Sobchak a candidate agreeable to the presidential administration, called upon to accumulate the opposition electorate. Do you know anything about this? Why did you support her? 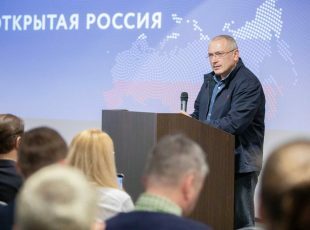 — I don’t have any direct information from Kiriyenko, so I cannot say that I have specific information about her candidacy in the presidential elections with his administration. But, as a sensible person, I understand that her election campaign in its current form couldn’t possibly proceed without such approval. I don’t see this as a great disaster, as any person who works today in Russia’s political or public field, does so to the extent that the presidential administration agrees. It does not matter whether we are referring to Ksenia Sobchak, Alexey Navalny, or even me. If the presidential administration wasn’t ready for the fact that we could communicate with each other, that we could talk, fine. But nothing would have been published under any circumstances. We are all searching for a window of opportunity based on the Presidential Administration’s perception of permissibility, or, as Vladimir Putin figuratively put it: There is little wool, but there will be a lot of squealing. Therefore, I don’t care whether this is a game for the Presidential Administration or not. They have some ideas as to how Sobchak can be useful to the them. Such thoughts are mistaken, in my opinion. I think that she will be more useful to the democratic movement. Sobchak has a chance to articulate the possibility of an alternative future for a rather apathetic Russian society. This is important, as a large part of society believes that nothing can be changed today. Sobchak articulates this possibility. Not as a person in herself, because it is difficult to consider Ksenia as president, and she does not see herself in this capacity. 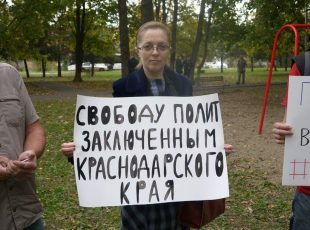 Ksenia Anatolyevna dreams of a parliamentary republic and I support her to this end. She also looks very good as one of the influential parliamentarians. She has a large support base and both high ratings and anti-ratings. — In your opinion, is she an independent political actor or could she become one? — Quite so, especially in the context of the mistakes which the Kremlin always admits, when playing with political actors. It seems proper to recall Navalny. 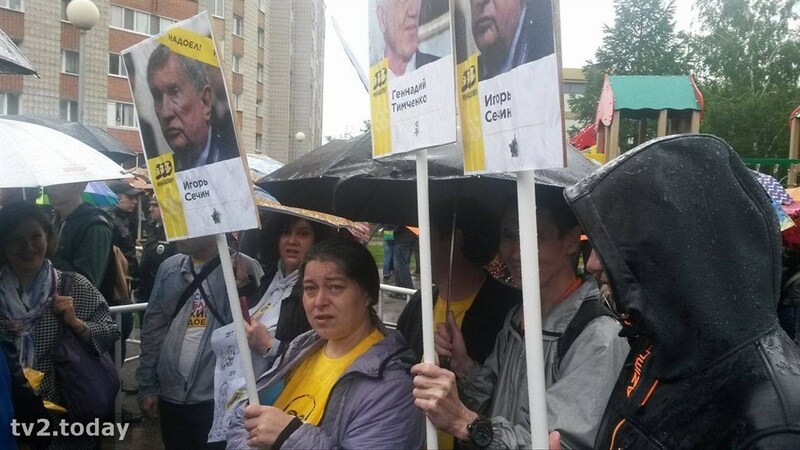 He was specially released from prison, given votes in Moscow, and is now a problem which the Kremlin is struggling to manage. It is worth remembering Poklonskaya, who was dragged from Crimea and given a place in the State Duma. Nowadays, the Kremlin doesn’t know what to do about her. I think that the presidential administration is not very clear in its vision in this sense. They will expect what they will from Ksenia Sobchak. We will wait for what we expect. Why do I support her position but not her candidacy for the election? It has nothing to do with her personality. 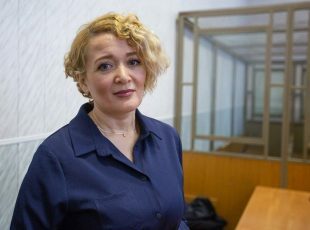 It is connected with my position that these are not elections even if Sobchak and Navalny are allowed to participate. It would be foolish to say that I do not recognise these elections while simultaneously supporting a candidate. — Is there any point in participating in the current presidential campaign, given the total predictability of its outcome? — The elections that will soon be held are not elections in the sense that a legal change of power is on the cards. It will change, of course, but not in an entirely legal fashion. At the same time, this is undoubtedly a large-scale political event, during which a window of possibility for communication with Russian society is open. It is short and narrow, but exists nonetheless, and it would be foolish not to make use of it. — At Open Russia’s spring conference, it was mentioned that the country will face a confrontation between civil society and the authorities in the case of the non-registration of Alexey Navalny. How do you perceive this confrontation? What role will Open Russia play? — I do not know know what kind of conflict behaviour Alexey and his supporters will adopt in the obvious event of non-registration. But our line of behaviour will not change, as we knew that he wouldn’t be registered from the beginning. We will show the world how these elections will be illegitimate. — I am mainly interested in your thoughts about a confrontation between society and power. Do you think that there will be one? — If, as expected, the elections go ahead, then people will undoubtedly take to the streets once the results are out. The size of the protest depends on how the authorities behave. — Regardless, it is highly likely that we will have the same president in March. Do you think that he will make any policy changes? If so, to which side? — You know, I wrote on my Twitter today that, while Putin was speaking at the press conference, Roskomnadzor demonstrated the president’s actual program for his next term by threatening to block Twitter and Facebook. I think that the only way to further develop the regime is to further escalate authoritarianism in one form or another. It is hard to say whether this will occur directly after the election or after the end of the 2018 World Cup in Russia. I would have previously said with certainty that they would wait for the end of the tournament, but now their brains are extremely fuzzy. — Could the withdrawal of troops from Syria and the refusal to boycott the Olympics in South Korea be seen as the beginning of a softer foreign policy? — No, I think not. For Putin, foreign policy is a way to conduct domestic policy. I don’t mean to say that Putin and his administration are complete morons. Of course not. They are not idiots at all. What is clear is that they are less than adequate, and their incompetence is only increasing. But such inadequacy is not total. They sometimes behave reasonably to create the impression that those who will still go to the Olympics are not patriots. Conversely, however, Putin himself gave his blessing. He himself opposed the fans but simultaneously found those who show sportsmen that they will not have an easy life when they return. And so on and so forth. I think that this hybrid authoritarianism, this game, will continue for better or for worse, but I’m afraid that the general trend is unpleasant for Russians. — There are two concepts regarding the Russian president. One is that he manages all processes and controls everything. The other is that he is increasingly hostage to his closest associates. What, in your opinion, is more truthful? — Personally, it is fairly obvious that this management structure, this super-centralisation that Putin involuntarily created (he is not an exceptional specialist in the sphere of management), has led to Putin himself being forced to make a huge number of decisions. Naturally, he does not have time to make decisions, so they are taken outside the procedure by misunderstood people in an under-appreciated place and under a misunderstood procedure. Within the framework of these issues, they learnt how to manipulate Putin quite well. You see, for 18 years, the first circle of Putin’s associates surrounded themselves with their own circle, and the second circle surrounded itself with a third. Therefore, when Putin says “I talked to someone,” and thinks that he is conversing with some new people, we see all these photos, people find other photos on the internet confirming that these are familiar people whom we have already seen in one form or another. This is no coincidence. It is the inner workings of a system that blocks autocrats; as a result, such regimes lose their integrity. There’s nothing to be done in regard to this. That is why those in power must be replaced: after a while the system just shuts down. They sometimes ask: Why is Putin’s power being restricted so much when, initially, he was nowhere near as restricted while I was head of Yukos? The reason is simple. The price of my decision was equal to tens of millions of dollars, and it was possible to spend about 100 thousand dollars to receive this decision. This, however, was not particularly block-able. And Putin’s decision, which has given him the possibility to solve every issue in the country, sometimes costs billions of dollars. Let’s take the bridge across the Kerch Strait. Its cost has risen ninefold during the construction period. Putin consented to this. Therefore, tens, if not hundreds, of millions of dollars can be spent in order to block its information field. You will agree that it is possible to do much with 100 million to create an atmosphere around one particular person. And there are good specialists, too. — It’s an interesting thing and is evidence of the existence of the criminal group that I told you about earlier. I do not agree that we are dealing with a criminal state. We have a so-called normal and regular state where millions of people work. We have government officials at various levels. Generally, they deal with ordinary issues. But there is a very small group in the Kremlin and their clientele. The group is comprised of hundreds, and their clientele several thousand. These are the main beneficiaries of the current regime. It is they who interfere in the activities of a regular state. They are sometimes called a courtyard, sometimes an entourage, but I consider them a group of criminals, because this is how they behave. The Ulyukaev case was a clash between regular state bureaucracy (whether you consider it good or bad) and that criminal group in the form of Igor Sechin. Putin found himself in a sticky situation. On the one hand, if he took the side of regular bureaucracy, he would no longer need his entourage. Almost everything, including Putin’s personal safety, is based on this group. Conversely, if he supported his entourage, then ordinary civil servants would simply stop working. This sort of paralysis, connected with Ulyukaev’s arrest, was in play for three months. They stop working because they are fearful of doing anything. In the absence of a body, organism and state, this parasitic subject, this Kremlin clan loses its ability to sustain itself, needing the organism of the state. That’s why this affair is bad for Putin. He needs to slip through this period. I think that he is very dissatisfied with what Igor Ivanovich did. — Could Ivan Ivanovich have arranged the whole thing on his own? — He could have. He sometimes gets too big for his boots. He undoubtedly agreed this with Putin, but, as we know, Igor Ivanovich is the person who best shapes Putin’s position. This is clear in the example of ‘Bashneft’, when Putin first said: No. Under no circumstances will we sell Bashneft to state-owned companies, because this is transferring money from one pocket to another. Nevertheless, he shifted the money from one government pocket to another. Sechin effectively manages all of it. — Since 2014, after Crimea, Russia has been situated in increasing foreign policy isolation if one considers sanctions and more. In your opinion, does this weaken the position of the authorities inside Russia or, conversely, strengthen it? — Once again, there is only a false alternative. It would be good for the regime if you knew about countries outside Russia, the same things you were told during the Soviet Union: “they’re all lynching black people”. At the same time, it is vitally important for him to project onto Russian society that he is respected abroad because Russian society is very sensitive to this. When Putin was in a boycott situation at the G20 summit in Australia, when nobody would converse with him, this was a harsh blow. Remember, he was close to flying home immediately as it was so unpleasant for him. The projection onto Russian society was hard to bear. Putin also wonderfully understands that, in the absence of international cooperation, the 140m people of the Russian population cannot support the country even on a minimally reasonable technological level. In other words, a bundle of things to which we are accustomed will simply stop working, and Russia will fall into isolation. Putin naturally knows that this cannot be allowed. Therefore, he wants to combine the situation somehow. And he is trying. It is clear that millions of citizens are already been denied the opportunity to travel abroad. I think that we will move in the direction of greater isolation for the majority of the population and an attempt to enforce their affections through the use of Russian money to corrupt the Western political establishment, press etc. — If you imagine a Russia without Putin, how do you see yourself in the picture? I see myself as a citizen. And, naturally, I would engage in some sort of social activity. It beckons to me. I do not envision a lifetime of attempts to be elected. I have no electoral experience on my CV, and, honestly speaking, I have no intention of acquiring it. I want to help Russian society move from an authoritarian regime to a normal democracy with the help of political education and informing. — If you had the chance to have a meeting with President Putin, even if only over Skype, what would you say to him? I am afraid that there is nothing to talk to him about. We are talking about a very old man with an established point of view. If he ever leaves his post, he will not be replaced by someone whom he considers his logical opponent. Putin has a good way out of the current situation: a gradual transition to a parliamentary form of governance, so as not to search for the unrealisable possibility of finding a younger and more faithful clone as the next head of state. This means that he would have to remain in his post until his death. A death which, according to Russian historical experience, may not be pleasant. This interview originally appeared in Russian on TV2. The original version is available here.